Calling all fans of Alesana! The band has announced several pre-order options for the upcoming release of The Lost Chapters. Alesana first released physical copies of The Lost Chapters in their fan project, Origins, last October. Since the new year, they have released two of the singles from the EP, "Fits and Starts" and "Madeline". Today, Alesana has announced pre-orders for The Lost Chapters digital release which is set to come out on March 30th. Fans can pre-order the album on iTunes, MerchNow, and the Revival Recordings shop page. The MerchNow pre-orders feature brand new shirts in singular, double, and triple shirt bundles! 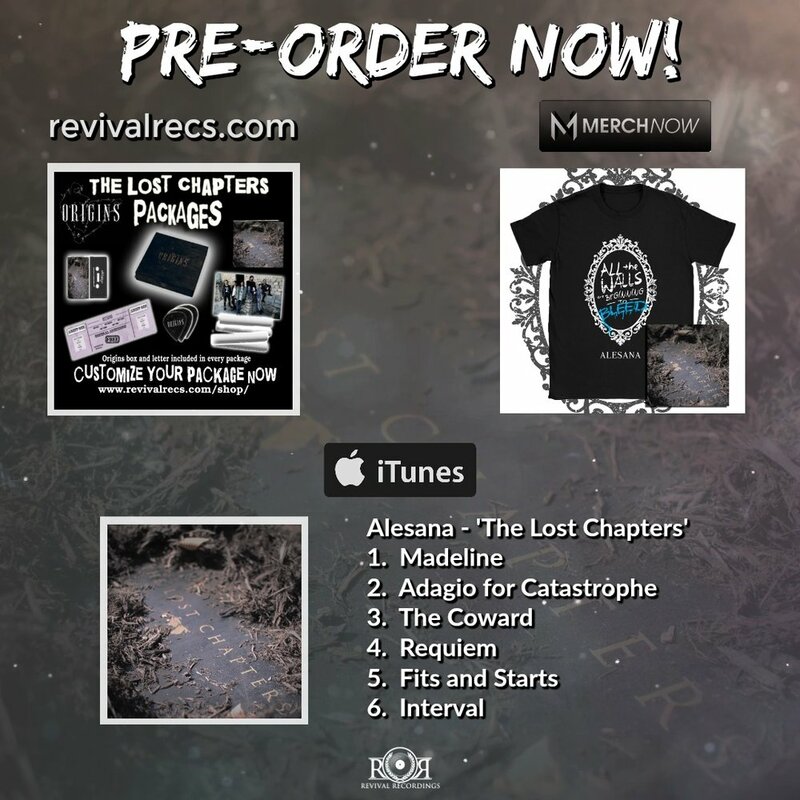 On the Revival Recordings shop page, their are brand new Origins rebundles where fans can pick and choose what they'd like including The Lost Chapters EP. It should be noted that the USB key with ten hours of behind the scenes footage and audio, along with the handbook are only available exclusively in the original Origins product which is still available and now at a reduced price! So many choices, so little time. Be sure to pre-order your copy of The Lost Chapters now!